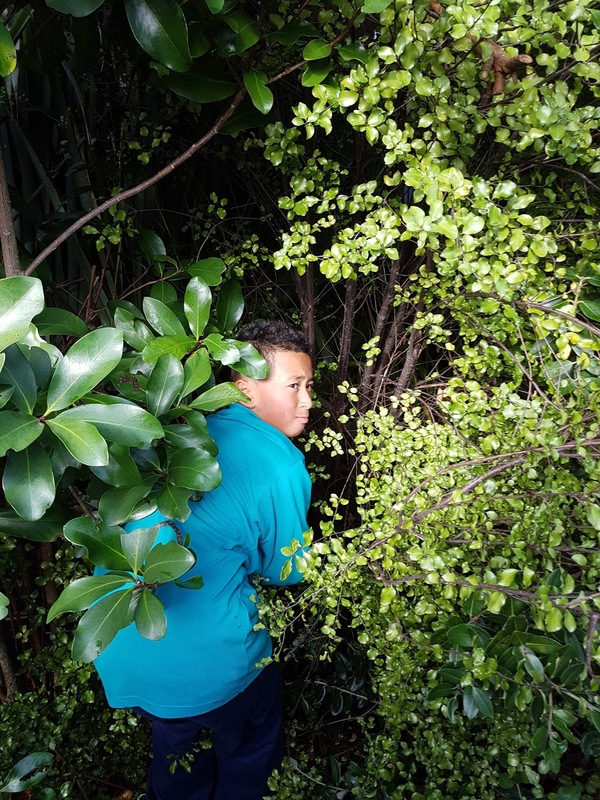 We have been placing weta boxes in the gardens around our school. They are small wooden boxes with blue lids. They hang in the trees. They have a hole in the bottom so a weta could get in and it is nice and dark. We can slide the front part of the box off by taking out the nail and seeing if there is a weta inside. Wetas are nocturnal insects because they like the dark. 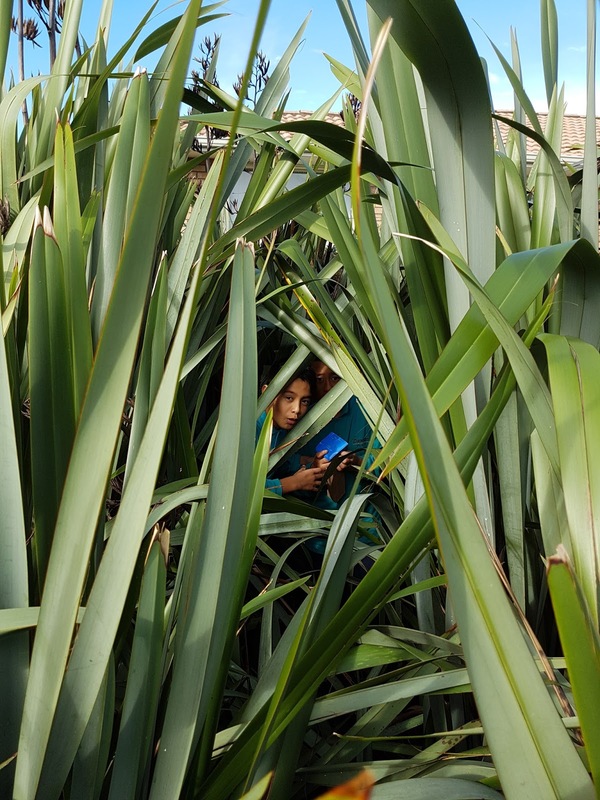 The habitat of a weta is often pasture, shrubs and forests. 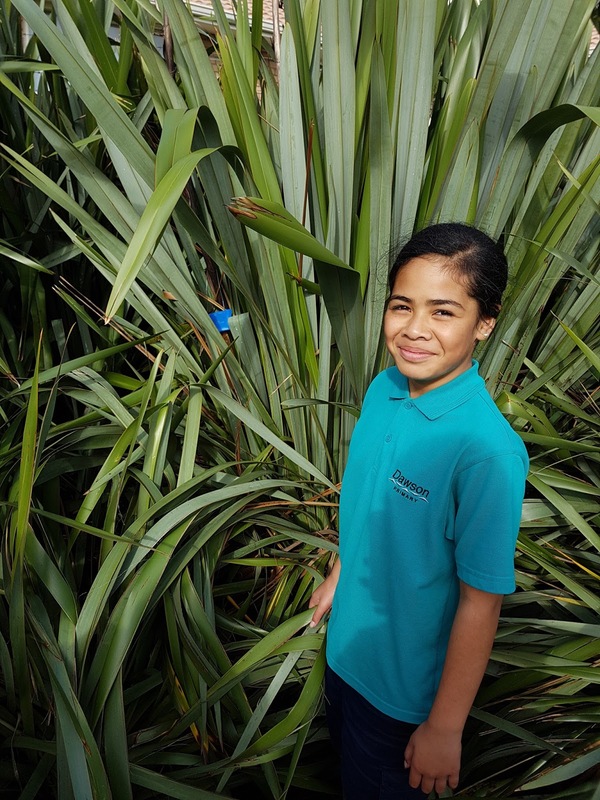 The reasons why wetas live there is because it is dark and wet and they are away from the sun. There are heaps of different types of wetas. Wetas have been around a long time, some since the dinosaurs. Many types of wetas are endangered. They have six legs and a shiny brown exoskeleton. Wetas eat leaves, flowers fruit, lichens, seed-heads and sometimes they eat insects. We will be doing more work about wetas in the next few months. We hope to get to see one very shortly! 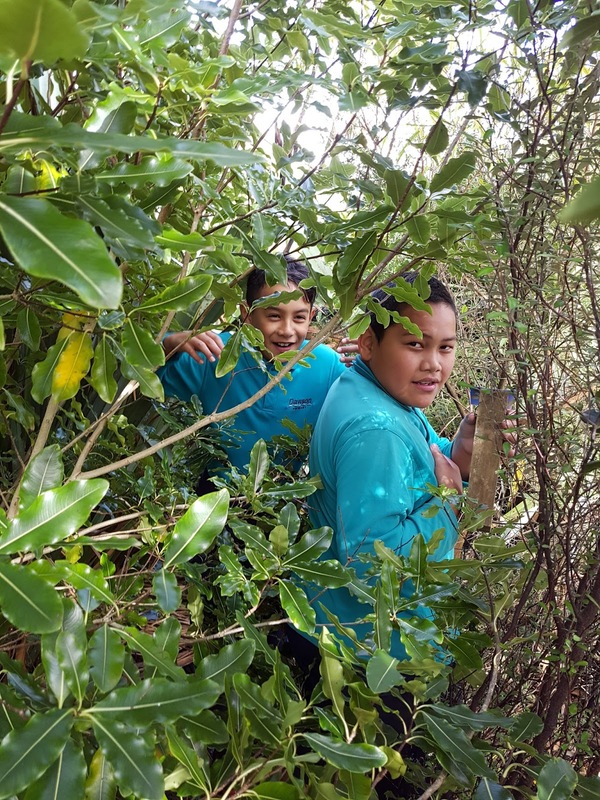 This is me (Altezza), Raphael, Fusi and Herbert putting the Weta boxes up around our school. On the 26th of October 2016, Rm 15 had visitors from South Sci, MBIE Science and Curious Minds. When the visitors came in, we recognised some of the visitors from our last Weta day. Before we got started this man called Stephane (one of the visitors - a scientist from Unitec) asked some of the children in Rm 15 to help get some sciency stuff. Rm 15 was going to learn about wetas and their DNA, when Stephane and the students returned with the stuff he had to set everything up. While he was getting everything ready our teacher Miss Zeier split Rm 15 into two groups. Once he was finished setting up group one had to put gloves and science coats on. So when the first group went to do the weta DNA the other group had to finish their weta slideshows. Meanwhile, many of the children were taking pictures to remember that day. During that Miss Zeier, Kalolo, Leon, Fusi and Skyler got interviewed. We were waiting till it was our turn, soon it was our turn to go and work with Stephane. While we were with Stephane we had to do more of weta DNA, before we started me, Herbert and Raphael had to go find the weta boxes. 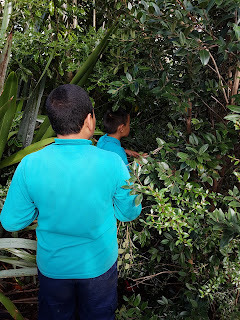 We got to go with nearly all of the visitors to look for the boxes, we could only find one weta box and all that it had in it was poo. Maybe it was even weta poo. While the others were doing weta DNA I got to look at Kalolo and Leon getting interviewed by Vic (short for Victoria). They were telling Vic what they wanted to be in the future. When we were finished doing the Weta DNA Analysis Rm 15 had to say goodbye and a BIG thank you to the visitors. 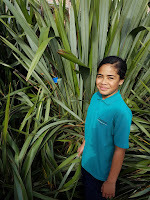 On that day my favourite part of the day was having fun with the visitors and learning more about wetas. Just the sound of chattering was shocking and unexpected for Leon and myself as we walked to welcome the visitors. Stephane from UNITEC decided to come down and resume our work on D.N.A testing on Wetas. D.N.A stands for deoxyribonucleic acid. During group 1’s turn Miss Zeier told us to use the iPads and take photos. It was awesome taking photos of the project. One photobomb moment was when I was trying to take a snap of Orlando then, Ty randomly put his his hand in front and blurred the entire photo. The most enjoyable part of the day was when Leon and myself were interviewed. 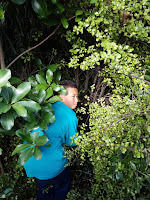 My favourite part was when we took a quick stroll to the gardens at the back, we wanted to have a quick check-up on the Weta Motels to see if there's any Wetas in the motels. My favourite guests were Victoria and Sarah. 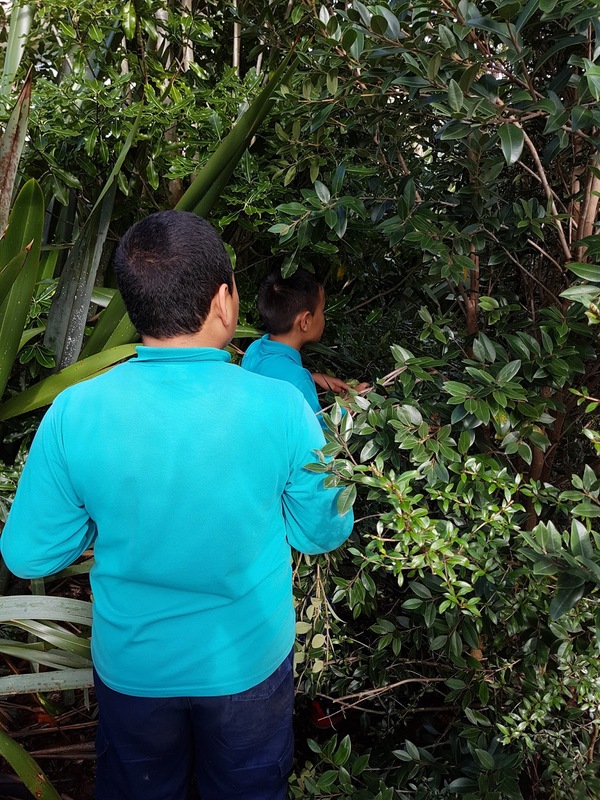 When I got handed insect poop from the Weta Motel, our ‘French Scientist’ Stephane told us how to see if weta poop is actually from a weta - So that was cool. We learnt that it takes a few minutes testing D.N.A off any insect just to see what it is. At the end of our session with Stephane and the other guests who came, Leon and myself we both said goodbye on the behalf of Room 15. When they left after morning tea we left to ‘Cooking and Gardening’ and ate ‘Pot Sticky Dumplings’. And that is what happened on Wednesday 26th of October. On Wednesday, the 26th of October 2016, we had visitors came to Room 15 to teach us about Weta's DNA, they marched in, we stopped and watched in complete silence, then the visitors introduced themselves and set up the the things they needed for the weta DNA testing. 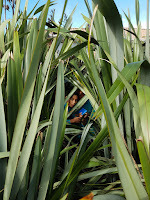 Visitors from South Sci, MBIE and Curious Minds were there to watch. Miss Zeier put us into two groups. One group went up to the table and put on the science coats, while we were putting on the coats group two had to finish their slideshow about Weta. Soon after that, Stephane (one of the visitors - a scientist from Unitec) showed us what to do, then we followed. The weta poop smelled really horrible but I got used to it, I don’t know what most of the things were called because I forgot. So we had to mix the poop and put chemicals in it. It went into the DNA extractor and it spun around, then we had to swap over and do our slideshows but I was finished so I got to take photos of everyone (even videos ). Some people got an interview while Stephane was teaching group two the last few steps of the weta DNA. I had a great time, it was soo much fun!!!!! On Wednesday Stephane came into our class and he taught us about Wetas DNA. Stephane is a Scientist and there was some other beautiful ladies. I was in number 2 group and it was very fun and we enjoyed having fun with Stephane. We wore white jackets and they were long and some of us couldn't fit them. There was a lady that told us that we all will be on tv channel 5. I hope that they come back to our class so we learn even more about DNA tests. Yesterday room 15 got a chance to meet a scientist from Unitec, he was a pro at science, he taught us about weta’s DNA and we also tested weta poop and it was nasty!!! Stephane told us about how weta poop can rot, he said that only ice can keep weta poop from melting, if there was not any ice the poop would rot up and stink. Throughout the lesson more people came in and were recording us and it was fun.